The first thing people notice about you is your smile, so why not make it something you’re proud to show off? In a recent survey, a whopping 52% of people polled said a person’s smile is the first thing they notice when they’re meeting someone new. 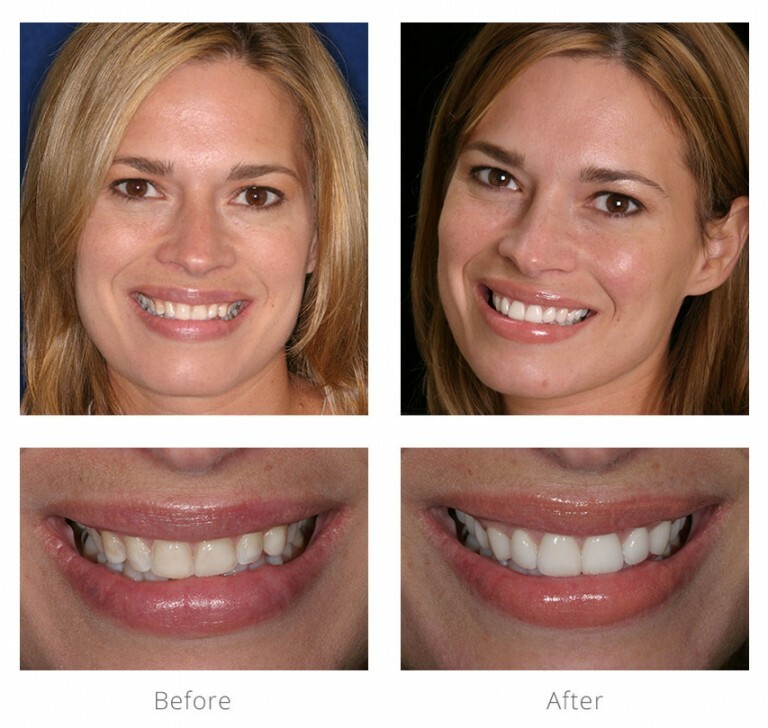 If you’re unhappy with your smile, there are a variety of procedures we can do to fix it. Deciding which one is right for you might be a little more difficult, but we’re here to help. If you’re unhappy with the look of your teeth, porcelain veneers can completely change the color, shape, and size of your teeth, along with closing gaps and making crooked smiles appear straight. We customize them to give you the perfect smile. In cases where a filling won’t work, because it would be too large, or there’s too much damage to your tooth, we use a dental crown. A crown covers the entire surface of your tooth. Dr. Arnold will need to shave down your current tooth to make room for the crown, so he can place the crown and bond it in place. It will blend in with your other teeth, and you won’t be able to notice a difference between the crown and the surrounding teeth. Does the color of your teeth bother you? We offer two types of whitening: Zoom, and an at home-whitening option. Depending on your level of discipline, you’ll need to decide which one would work better for you. Zoom whitening is our in office procedure. We’ll use gel and a special light that’s designed to help activate the whitening gel, which is what makes Zoom work so fast. It takes three fifteen-minute sessions with the light, and when we’re done, you’ll have a brilliant white smile. If you’d prefer to whiten your teeth at home, we offer whitening trays. 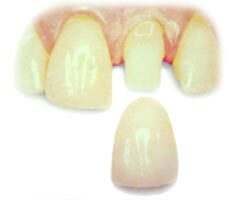 We’ll take an impression of your teeth so we can make you customized bleaching trays. You’ll receive two types of whitening gels, one for overnight, and one for daytime. You’ll wear the trays for a short period of time every day and night, for as long as you want, until your teeth are the whiteness you desire. Usually, a few weeks is all it takes to notice a big difference. For the most effective results, we recommend combining Zoom with the at-home bleaching trays. Actual patient before dental bonding. 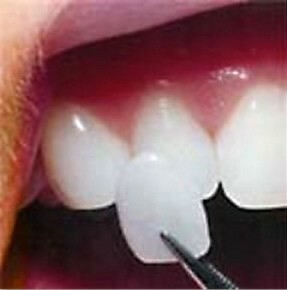 Dental bonding is a quick and convenient treatment used for minor tooth repairs. 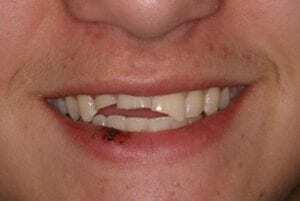 It’s commonly used to treat chips, spots, and small gaps between teeth, but it can also be used for larger repairs. If you want straight teeth, but you don’t want to get braces, invisalign might be your answer. Invisalign are clear aligners that are a great alternative to braces. The aligners work by gradually and gently shifting your teeth into place. There are no metal brackets to attach, and no wires to tighten. You’ll receive a new set of aligners approximately every two weeks, until your treatment is complete. With invisalign, you’ll achieve a great smile with little interference to your daily life. An actual patient with her smile makeover. If you’re going to have a smile makeover, how do you know you’ll be happy will the results? A lot of Dr. Arnold’s work involves re-doing the cosmetic dentistry of other dentists. Often times, a patient will dream of a certain look, only to be disappointed with the final result. If you’re unhappy with your results at any point, we guarantee we’ll do whatever it takes to fix it until you’re satisfied. 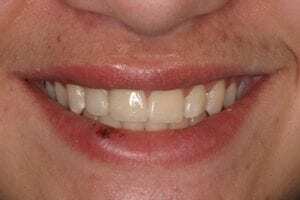 Check out our smile gallery to see how we’ve helped other patients. What are you waiting for? Make your appointment today. Before we do anything, Dr. Arnold will discuss with you your expectations for your smile and he will make recommendations, based on his artistic talent and experience.